EMU Australia’s waterproof boots for women come in many different styles and colors, you’re spoilt for choice. Maybe you’re looking for something more practical - go for our flat, soft, lined boots. Or add a little glam to your feet with our heeled or wedged water resistant boots, with striking features like buckles and lace up details. 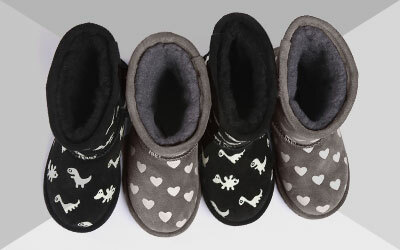 EMU waterproof ladies boots come in a wide range of colors, such as brown, black, blue and red. Fashionable boots are an essential staple of any wardrobe, but not all boots will keep your feet toasty and dry in the rain. Stay stylish and warm in wet weather with EMU Australia. Our real, super soft 100% Australian sheepskin boots are water resistant, and some of our styles are completely waterproof - and you’ll find them here. Whether you’re taking cold winter walks in snow and ice, need something smarter for work, or just want to protect your feet from summer rain, we have so many comfortable but trendy options of waterproof boots. Choose from sheepskin waterproof outers, leather styles, fleece, shearling, and 100% Australian Merino wool linings. EMU Australia waterproof boots also have stylish and pretty details - comfort and practicality needn’t be dull. Go for biker style boots with cute buckles, cool zipper details, fluffy linings just peeking out, or just keep it cozy with our classic mid calf waterskin sheepskin boots. Laceless styles are quick and easy to slip on, but lace ups add an edge. Flat styles are practical and comfy for casual wear, whilst a heeled boot can really pep up an outfit for a more dressy occasion, and both styles can be worn with so many different outfits. Whatever style you choose, you can be sure of the EMU difference - we always make sure to produce the highest quality boots using natural materials for the latest in lasting luxury. 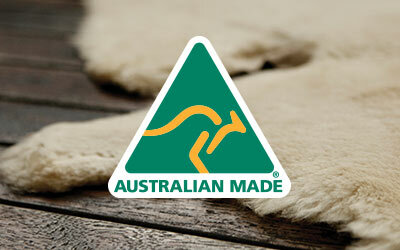 Many of our sheepskin products are Woolmark accredited, and our waterproof rubber outsoles are naturally durable. Sheepskin is a very breathable material, meaning your feet stay warm and dry in winter, but our waterproof boots are also ideal for summer showers as they keep feet cool in the heat. Our waterproof boots have superior double stitched seams and the soles are attached with waterproof adhesive and finished with waterproof binding - so you can be sure our boots are a purchase worth investing in - and your feet will thank you too!